Search engine optimization remains one of the most effective and passive forms of marketing available. With great content, careful optimization and a persistent effort, your pages can automatically attract visitors and customers from all over the world. Despite the benefits that SEO provides, it can be a bit overwhelming to understand all that SEO entails. Thankfully, there are many plugins available for platforms like WordPress that can make improving your SEO efforts much easier. With so much out there to consider, though, knowing which plugins are most useful can save time and energy. Today, we’ll look at a few WordPress plugins that are best suited for your blog, business or brand’s SEO campaigns. By far the most commonly recommended SEO plugin out there, WordPress SEO by Yoast is a powerhouse of a utility. Easily installed and integrated within all aspects of a website, the plugin will help even the most novice of users better understand how various elements of SEO work in conjunction with websites. Whether it is optimizing keywords, pinging URLs to search engines properly or improving meta data, the plugin will provide recommendations and checklists to users for each page and element. This can help dramatically improve overall SEO performance in no time and ensure that your pages are ranking as well in search as they should. Another excellent choice for website owners, the All-in-one SEO Pack plugin for WordPress can be a lifesaver. Available in both free and professional versions, the utility provides webmasters with dozens of support tips and functions that can improve SEO clout in select SERPs. Whether you are looking to optimize your XML site map, convert entire URL structures to be more SEO-friendly or improve site security, the All-in-One SEO Pack provides solutions. Advanced settings also allow for more technical optimizations; the options are too numerous to list here. The free version is a great solution for many sites, and the professional version can be obtained for as little as $6 per month. Last but not least, knowing exactly how to improve and where to improve your SEO efforts revolves around knowing if anything is improving in the first place. With the Google Analytics plugin by MonsterInsights, you’ll be able to fully integrate the analytical benefits of Google into your WordPress site. This, in short, will help you determine exactly how people are using your website, which pages are getting attention and what strategies are therefore producing results. Once you’ve been monitoring the plugin and pinging URLs to search engines for awhile, you’ll begin to observe various patterns based on your strategies. As such, the MonsterIngishts Google Analytics plugin is invaluable. Building an effective SEO strategy requires plenty of research and effort. Despite this reality, there is no reason why you cannot make the process a bit more efficient. 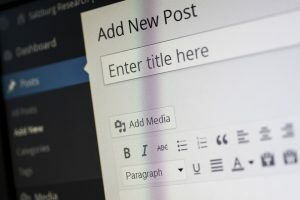 With these three WordPress plugins, you’ll gain valuable insight into how SEO works and plenty of advice on how to optimize your pages and content for better results.